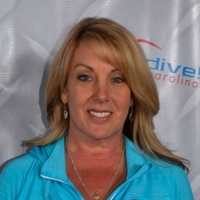 Danny and Annette Smith are the proud owners of Skydive Carolina. Through their hard work, passion, and vision they have made Skydive Carolina one of the premier skydiving centers in the United States. You can learn more about Danny and Annette in the biographies below. Danny began his skydiving career in 1966 while serving in the Air Force. After his time in the Air Force, he began his business career in banking where he worked for 29 years. In 1986, while still working in the banking sector, he founded Skydive Carolina. 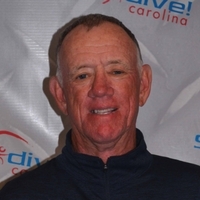 Initially, the skydiving center was only open part-time, but in 1994 when Danny retired from the banking industry, he opened Skydive Carolina full-time. From 1974 to 1981, Danny was the captain of the Firestone Parachute Team. The team made demo jumps into Carowinds Amusement Park in Charlotte, N.C. every weekend. The team also made jumps into NASCAR races, festivals and grand openings to promote Firestone and Carowinds. His most memorable jump was landing on the USS Yorktown aircraft carrier in Charleston, S.C. – making him one of the first skydivers to ever land on an aircraft carrier. During his skydiving career, Danny participated in many skydiving competitions and received several medals. Danny holds a parachute rigger rating, instructor ratings from the USPA, and a private pilot rating from the FAA. He is married to his best friend, Annette, with whom he has four children – Amber, Autumn, Avery, and Allie – and one beautiful granddaughter, Addie. His hobbies outside of skydiving include golf, racquetball and snow skiing. 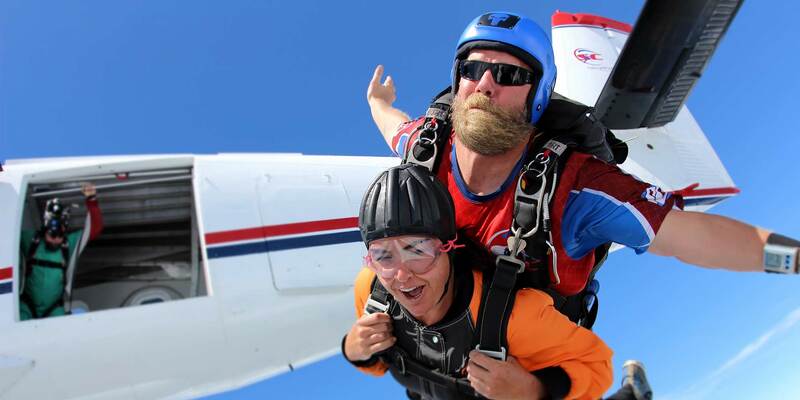 Annette came to Skydive Carolina more than a decade ago after meeting and marrying the love of her life, Danny Smith. An Interior Designer by trade, Annette has helped make Skydive Carolina a beautiful and welcoming place for guests to spend time with family and friends. She considers the Skydive Carolina community part of her family and loves interacting with all of the students and skydivers who come to the dropzone. When she’s not busy helping guests with a friendly smile or managing the Student Training Center, Annette is hard at work running her thriving Interior Design business. Skydive Carolina is a dropzone that values safety, quality, service and innovation. We view ourselves as partners with our customers, our staff members and our community. We aim to inspire and motivate those around us while encouraging learning and teaching. We will remain committed to teamwork, camaraderie and accountability to reach our goals of delivering services better than anyone else. We will develop leaders for the skydiving community. Skydive Carolina is one of the BEST dropzones I have had the opportunity to visit. The staff was welcoming and the experience was a total THRILL. They went above and beyond the horizon to assure your day was all about you. I will return that's for sure. Meet our highly experienced staff members who are dedicated to ensuring that every guest has a safe and unforgettable skydiving experience! Skydive Carolina is proud to offer a fleet of 3 meticulously maintained aircraft to meet the needs of new and experienced skydivers alike. We take extra care in ensuring that our grounds and facilities are always clean and well maintained so that every guest can enjoy a world-class skydiving experience!